A single adverse event that caused a skin injury has led to the voluntary recall of 190,000 ThermaCare HeatWraps in the United States and Puerto Rico, Rick Goulart, a spokesman for the company tells CNN. One person who had a leaking wrap suffered a skin injury, says Goulart, "so we decided to do the right thing" and issue the voluntary recall. Goulart said he couldn't release more details citing privacy reasons. According to a Pfizer press release, only ThermaCare HeatWraps Menstrual with the lot #E06831 and an expiration date of 8/2012 is being recalled. Other lots or batches of menstrual heat wraps or any of the of the company's other five brands of heat wraps are not affected by this recall. In the press statement, Pfizer says that it is taking this "precautionary step, after finding a potential for a leak of the components contained in the wrap, which could cause skin injury such as irritation or burn." These heat wraps are placed on the skin and transfer heat to soothe sore or cramping muscles or tendons. Consumers who have ThermaCare wraps at home should check the lot number located on the box and the foil pouch. If they have a wrap from the recalled lot, they are urged to throw it away and call 1-800-323-3383 for a replacement. « Previous entryHow can I make a cyst go away? PMS doesn't cause skin burns. As Kam pointed out... it doesn't allow for humor either. Philip – you are an idiot! oh spuds, get over it. I was just making a joke. Therma Care heat pads had burned me twice. Then I read the small print. It stated that caution should be used if over 55, because of thinning of elderly folks skin. It was the best OTC treatment I ever received. But I'm just too old to use it. I've been burned numerous times also and I am only 34. I admit, it feels really nice.. but.. you have to be very careful with them. It depends on the individual. I'm 73 and use them occasionally for muscle strains after too much tennis or yard work. I use them directly on the skin, and I've never had a problem with them. My only complaint is that they aren't hot enough. (I think they used to be hotter, but there were complaints.) If you find them too hot, wearing them over a Tee-shirt would help. I've been burned by them too and I'm in my 30's. I honestly don't think it has anything to do with age. It's just a risk when using these types of things. Those thermacare wraps are a godsend. I have 2 herniated discs in my neck, and one of those allows me to sleep when the pain is bad. Sounds like user error.Some people just can't read. This isn't the only Thermacare that shouldn't be used. I got a very bad burn on my neck in 2002. They paid no attention to my complaint at the time. In 2002, Thermacare was owned by Proctor and Gamble, now it is owned by Pfizer who takes product safety more seriously, now. I was told by my Dr that those heat wraps are not safe... if you have a constant heat it can cause burns.. He told me they were the worst things invented. I tried their regular heat wrap several years ago and it burnt me quite badly. I've never used them since. The Pic above makes it look like some kind of underwear. Hot pants? According to a Pfizer press release, only ThermaCare HeatWraps Menstrual with the lot #E06831 and an expiration date of 8/2012 is being recalled. The rule of thumb is you need to be at least 10% smarther than the object you're using. Smarther? You're one to talk! I think John was kiddting. I love this product. I have used the ones for the neck and for menstrual cramps, and they both rock. A bit pricey, but totally worth it. I've never been burned....don't think that could happen to me, as they really don't get that hot. I guess it depends on a person's skin sensitivity. I used one and developed two blisters on my abdomen which left scars. I quit using them after that. They get way too hot. If you read the instructions, you are NOT supposed to light the things. Fat will have a tendency to burn. They've been having burning issues since they came out with these. I tried one out years ago and it was great until I took it off and most of my skin went with it. ThermaCares for the neck have been a nonpharmaceutical Godsend for me. They have never burned me. I also use them on tight leg muscles after cycling or swimming. I love Therma Care.....wish I'd thought of the idea first! II had 3rd degree burn on my hip from using Thermacare back heat wrap. It has been 2 months and I still have pain and slow healing. I do not recommend this product. 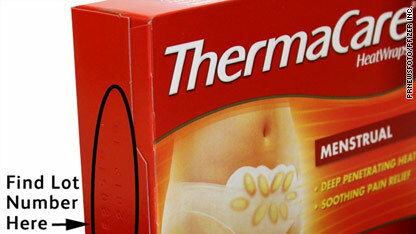 I I had 3rd degree burns on my hip after using the Therma Care heat wrap. My mother was burned badly from using ThermaCare. She went to the E.R. and was almost admitted because it burned 2 holes in her back. She's still not recovered and under treatment. ThermaCare ingredients are nowhere to be found on the package. This is very, very bad business and Pfizer, of all companies should know better. My mother's back is a mess. She was put on Vicodin. That tells you how bad the burns are. I like the helpful info you supply for your articles. I’ll bookmark your weblog and test once more right here frequently. I am fairly sure I’ll learn a lot of new stuff right here! Good luck for the following!